Healthy snacking. It's what everyone is all about these first few enthusiastic weeks of the year, and I'm happy to jump on board. 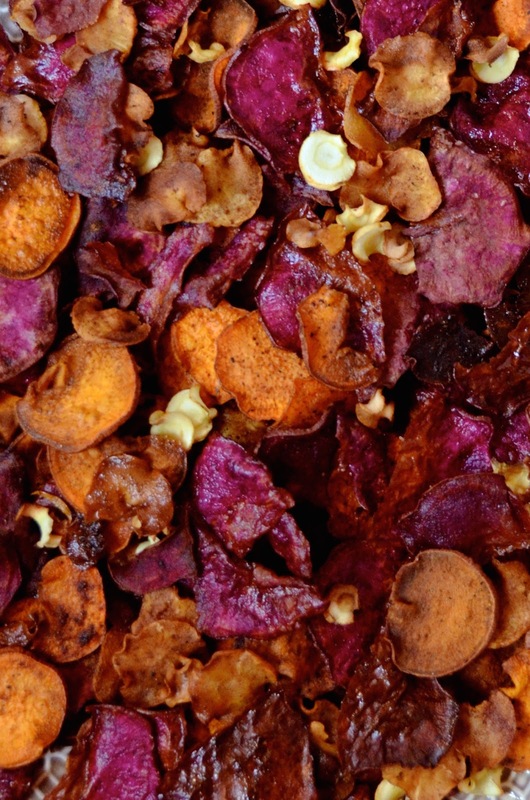 These DIY veggie chips are good. 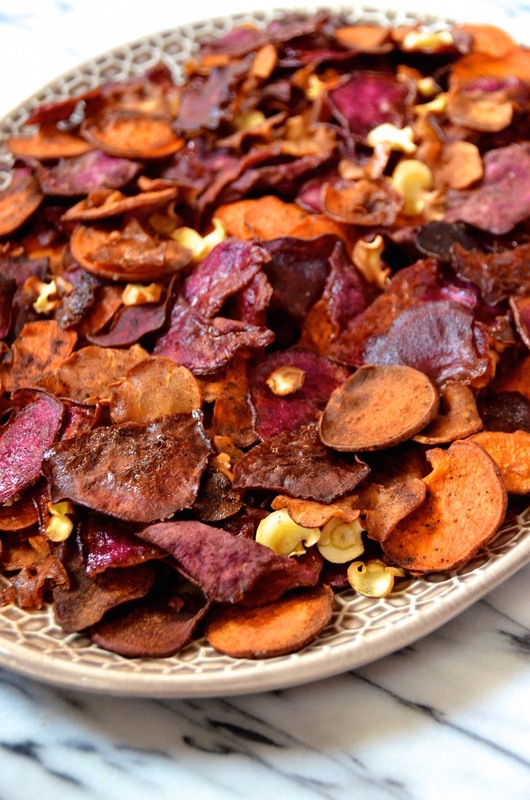 Spicy, sweet, crunchy, and actually kinda healthy! Total win on all fronts. I was inspired to make these thanks to my friends at Pinterest. They recently released their Pinterest 100, which is an annual report of the top 100 trends in everything from food and health to fashion, home design, and more. 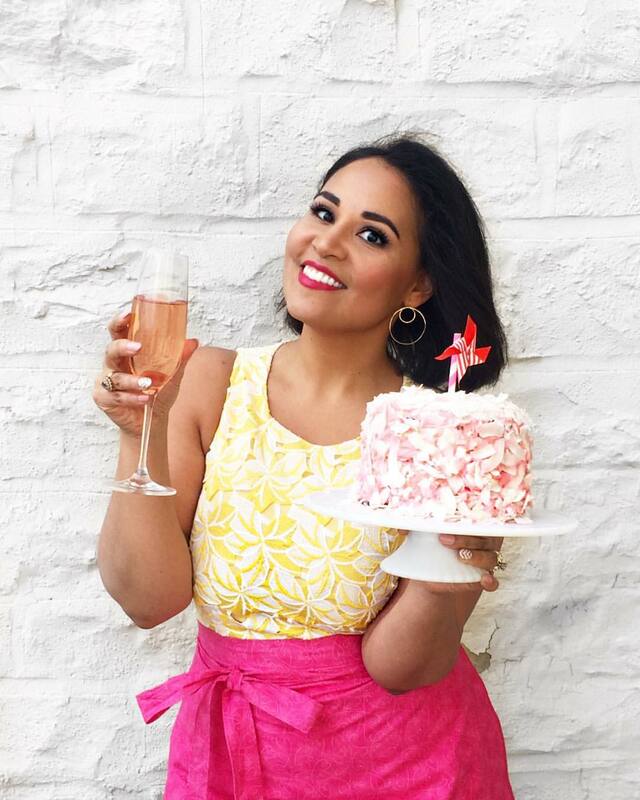 One of those top trends you'll be seeing a lot this year? Baked chips! 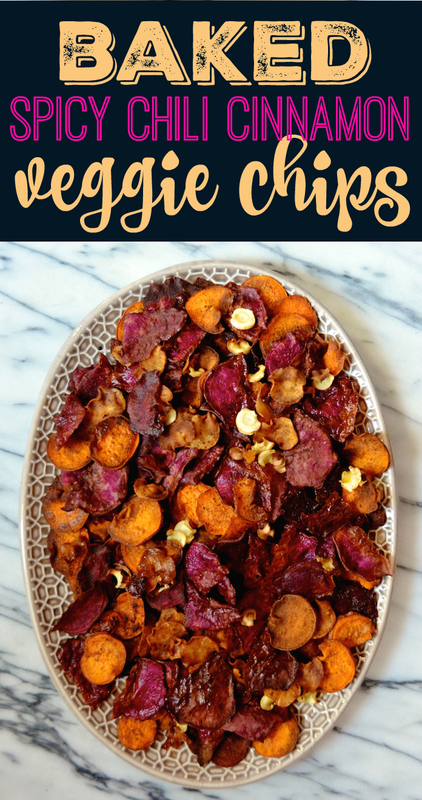 Savory or sweet, and made from basically every vegetable or fruit you can imagine; baked chips are totally a healthy snack I can get behind. And you're going to love how simple they are to make, too! For this recipe, you basically just slice your fave root veggies thinly (I recommend a mandoline like this inexpensive handheld one I'm kind of addicted to*), toss with some oil, and bake in small batches until crunchy. Toss with spices, and enjoy! Chili + cinnamon is a flavor combo that I totally love, but you can really have fun with the spices once you get the technique down. Use your favorite seasoning mix, add something fun like smoked or truffle salt, add dried herbs like rosemary, or just keep them plain with a little bit of salt and pepper. And if I can recommend a dip idea, I love a little Greek yogurt with these. Something about the combo of spicy sweet chip and cool tangy yogurt that just totally works. Scroll below for the recipe, and click through to the Pinterest 100 board for more inspiration for the year ahead (and don't forget to save & share my veggie chips recipe while you're there!)! *This post contains Amazon affiliate links, which means I'll get a few cents if you purchase that mandoline I mentioned. It won't affect your price in any way. Serves about 6-8 as a snack. Preheat oven to 400 degrees F. Use a mandoline slicer to slice all of your vegetables about 1/8th inch thick. Place into a large bowl and drizzle generously with olive oil. Toss to coat evenly. Arrange the chips in a single even layer on 2-3 baking sheets (you’ll have to work in batches). Bake about 15 - 20 minutes, or until crispy. Note that some smaller or thinner chips will bake first, so check on them every few minutes and remove chips as they are ready. 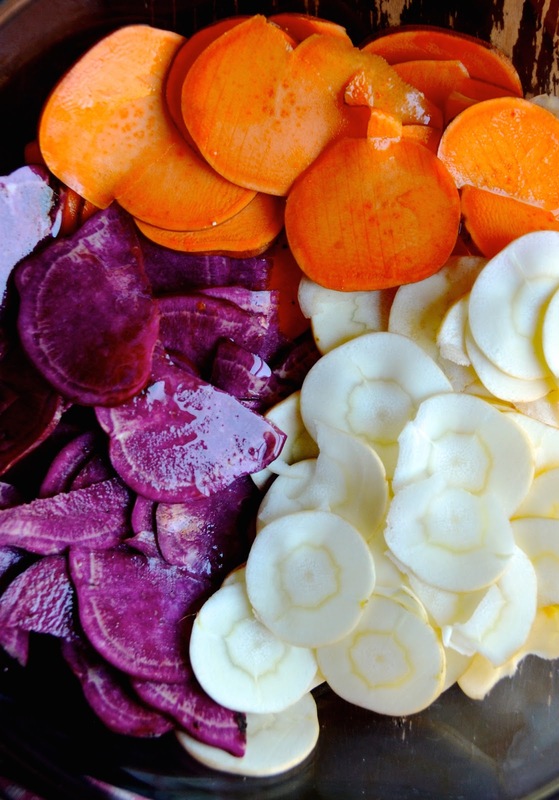 Place in a large bowl to cool and repeat with rest of root vegetables. Whisk together cinnamon, cayenne, paprika, and kosher salt. Toss cooked chips with spice mix. Taste and add more salt, if desired. Serve chips right away or store in an air-tight container at room temperature for up to two days.